DHL: Tunnel box, why not Australia ;-)? I do like when a Client meets a promotional message in a place where he’s not expecting it. 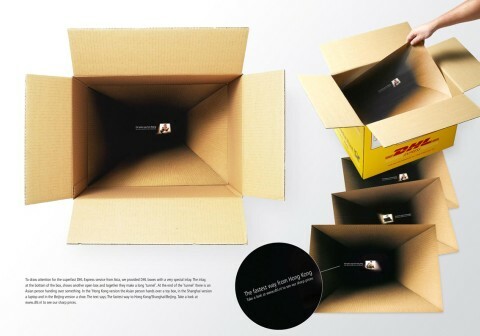 In this case the bottom of a box was used a sort of marketing vehicle, by showing the potential speed of delivery by DHL to the second side of the Earth – as we know, regardless location it is always China (for some people Australia ;-) ). 26 zapytań do bazy. Strona wygenerowana w 0.242 sekund.